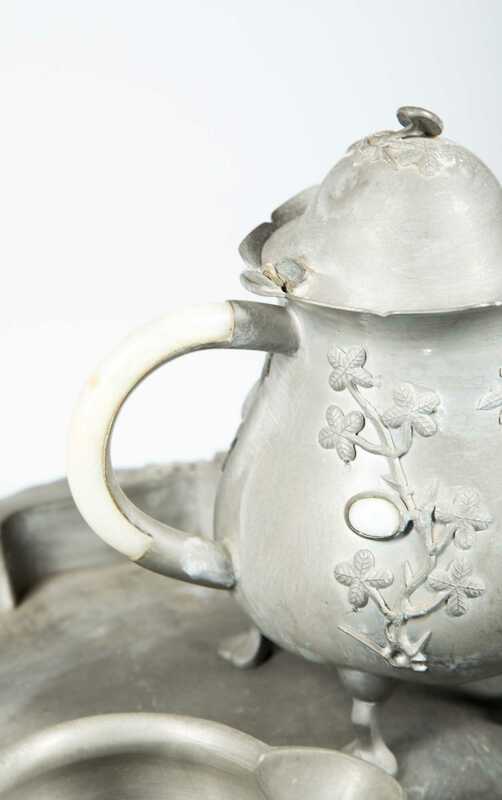 This Royal Holland pewter set includes a coffee pot, tea pot, cream and sugar, and oval tray, possibly from the 1950s. With white grass wrapped handles, this set is marked with an incised stamp on the bottom, K.M.D. and crown, marked Royal Holland. An additional pewter pitcher with black grass wrapped handles is also included. 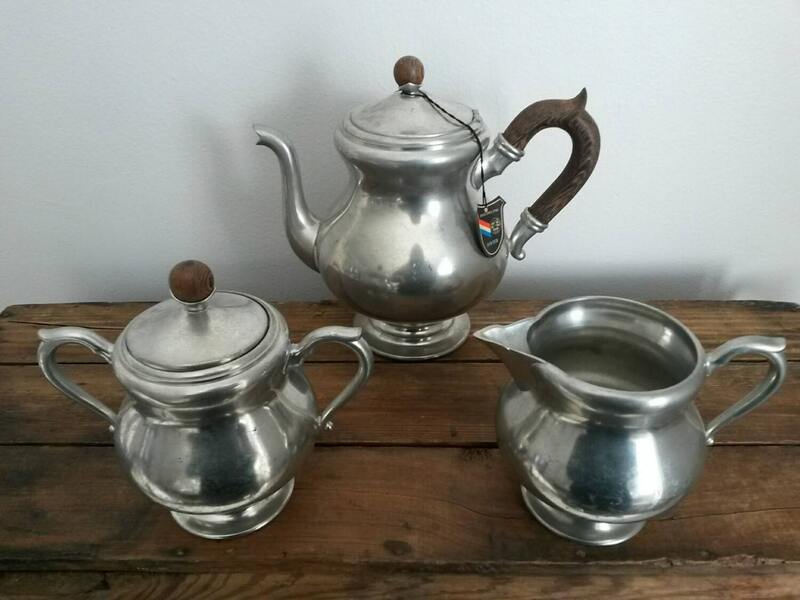 Pewter and Silver Tea Sets Tea service sets are a tradition steeped in history. 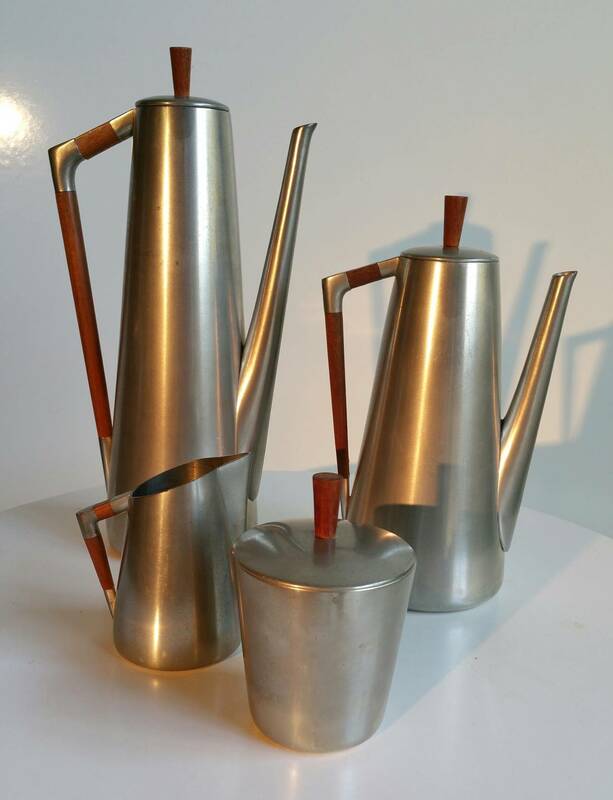 Enjoy tea and coffee service the way it was meant to be with these fine tea sets from The Silver Gallery.